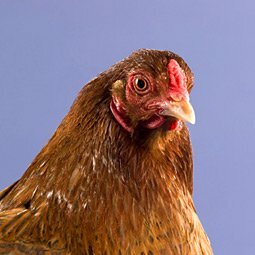 Chanteclers have the distinction of being the first-ever Canadian breed, and were developed for good egg and meat production and hardiness even in the coldest of winters. Toward that end, they have extra-small combs and wattles. Today they're exceedingly rare throughout North America, but we do sell them in small numbers! If you live in the northern US, this is a great breed to consider for your home flock.